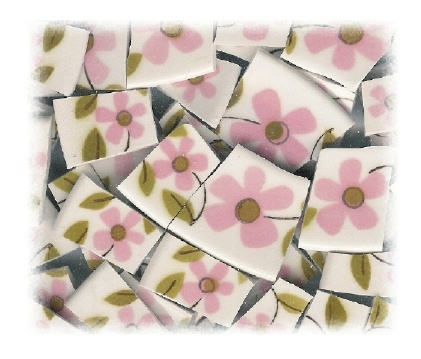 45 tiles from Mikasa china plates. Pink flowers, green leaves, off-white china. All rim tiles.